This article first appeared in Bustle on January 15, 2019. Read the original there. 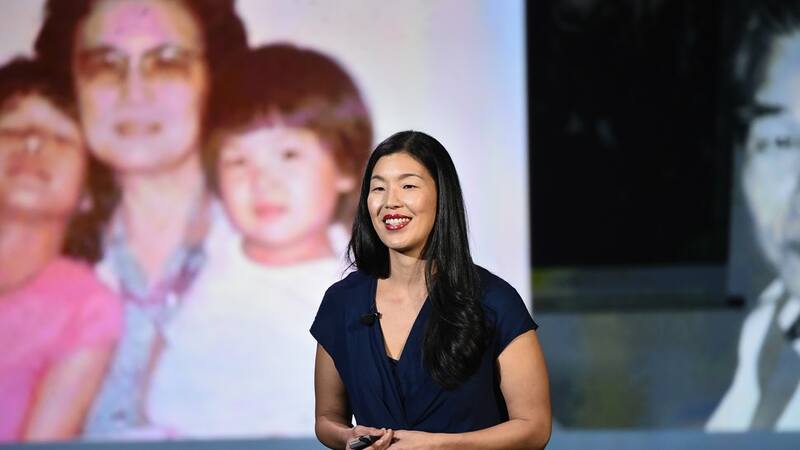 Poo, a MacArthur “Genius” Award recipient, co-directs Caring Across Generations, an organization focused on repairing and re-building the way that caregiving operates in the United States, from promoting public awareness to fighting for policy changes. The #WeKnowYouCare campaign, which launched on Tuesday, aims to draw attention to what the organization says is a little known statistic — that about 40 percent of caregivers are men. Caregiving has long been associated with women, Poo tells Bustle. And for the bulk of history, she says, that may have been based in fact. But gender roles are changing, as are intergenerational dynamics. And in their work, members of Caring Across Generations found that continuing to exclusively associate caregiving with one gender may well do more harm than good. The #WeKnowYouCare campaign promotes not just a hashtag, but also the stories of men providing care. In sharing videos containing real men’s stories, campaign organizers say they hope to prompt conversations about gendered perceptions of caregiving. The first story to be shared comes from a man named Ivan Lambert, who recounts what it has been like caring for his wife, who suffers from Multiple Sclerosis. Lambert shares that his wife’s disease forced him to take on a new role in their household. Whereas he used to work full time and rely on her to prepare meals, he is now in charge of preparing food, as well as assisting his wife with tasks that have grown impossible for her, like standing up from the toilet. Lambert tells viewers that taking a caregiving class and meeting other men in similar situations helped him to cope with these changes. “Men were actually really quite harmed by the gender norms related to caregiving, in that it’s harder for them to ask for help, it’s harder for them to actually get the support that they need to do what is a very emotionally challenging — and otherwise [difficult] — thing to do,” Poo tells Bustle. The reality is, Poo explains, is that gendered perceptions of caregiving is making it more difficult for caregivers to do their jobs. Not only does feminizing the role of caregiver stymie men’s abilities to provide care, but it also perpetuates sexist stereotypes that contribute to caregiving’s overall undervaluation. Above all else, Poo says, it’s important to recognize that giving and receiving care is a unifying experience, which connects people across all walks of life. And as the Baby Boomer generation rapidly ages, and as millennials have more and more children, caregiving, she says, is only going to be more and more in demand.